Exercise, Bodybuilding, Testosterone and Probiotics! Testosterone is central to growing muscle and getting in shape, for both men and women. Now before you think I’m endorsing injecting testosterone, understand that what I’m talking about is getting your body’s natural production and usage of testosterone up to where it should be. After all, if you could grow muscle or get in shape more like you did as a teenager, you would get more out of exercise, right? There are many factors affecting testosterone, such as sleep (or lack thereof), inflammation, and gut bacteria. Yes, those microscopic organisms who outnumber human cells 10:1 and whose gene count dwarfs our human DNA! They don’t just help digestion, but also help manage our endocrine system which produces our hormones-including testosterone! The bodybuilding community is beginning to catch on to the fact that gut health and probiotic bacteria can play a big role in muscle growth. Here is a great article about this very thing: http://bit.ly/1mVz5gE. A very well written and entertaining article, by the way! 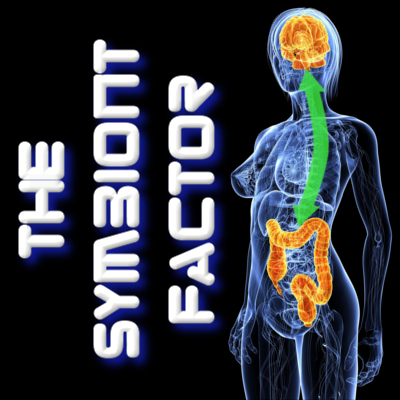 It isn’t quite as simple as just taking probiotics, of course, although that is a great start. 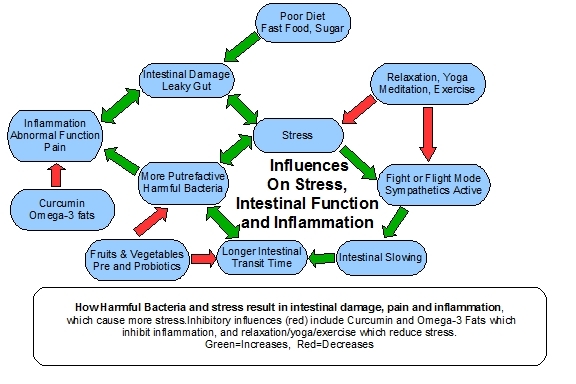 To establish and improve gut bacterial colonies, you should also learn about how mood and behavior impact gut bacterial health, and what steps can be taken to optimize diet and chemical exposure for maximum gut bacterial benefit. The result can be reduced inflammation (which permits harder workouts!) and better testosterone levels (which maximizes the benefits of the exercise!). This entry was posted in Uncategorized and tagged bacteria, bodybuilding, exercise, fatty liver, fermented foods, gut bacteria, gut health, holobiont, inflammation, irritable bowel syndrome, kefir, kombucha, microbiome, microbiota, symbiont, t, testosterone, vegan, yoga, yogurt on July 28, 2014 by Dr. Richard Matthews. The moral of the story? If it doesn’t look like a normal piece of meat…it probably isn’t. Ironic that people avoiding gluten could still have similar reactions while eating meat, isn’t it? This entry was posted in Uncategorized and tagged antibodies, autism, bacteria, brain, celiac, enteropathy, fatty liver, fermented, fermented foods, gluten, gut bacteria, gut health, holobiont, hologenome, hypothalamus, IBS, immune, inflammation, irritable bowel syndrome, kefir, kombucha, lactobacillus, microbiome, microbiota, non-gluten enteropathy, probiotic, probiotics, symbiont, symbiosis, symbiote, symbiotic, transglutaminase, vegan, yoga, yogurt on July 9, 2014 by Dr. Richard Matthews. One of my large containers of kombucha had grown such a thick scoby (probably close to 3″ thick!) that I decided to peel off the bottom layers and leave the nice clean top layers. The other reason is that the original bottom layer had some spots where the scoby growth had been inhibited by a competing organism-this did not continue through the top, so peeling off this layer made it like new again. 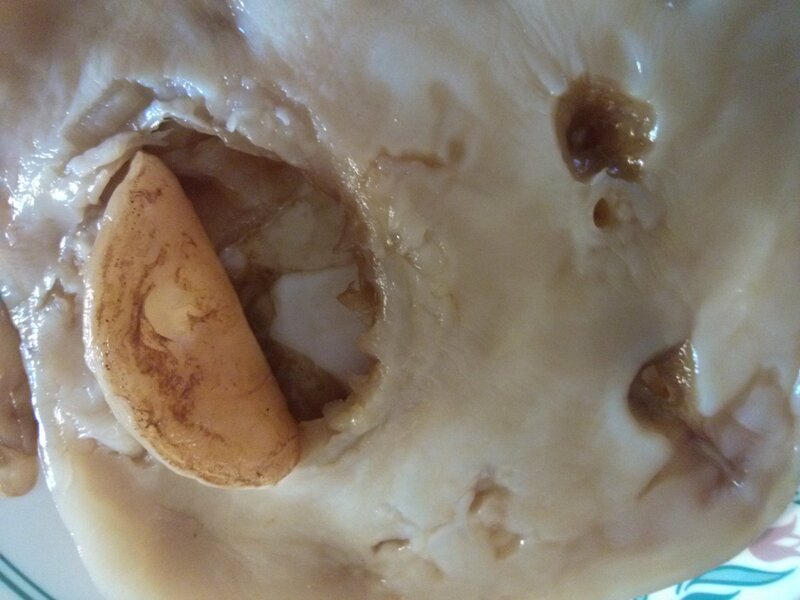 I placed the layer of scoby on a plate for examination, and this was what I found looking back at me! 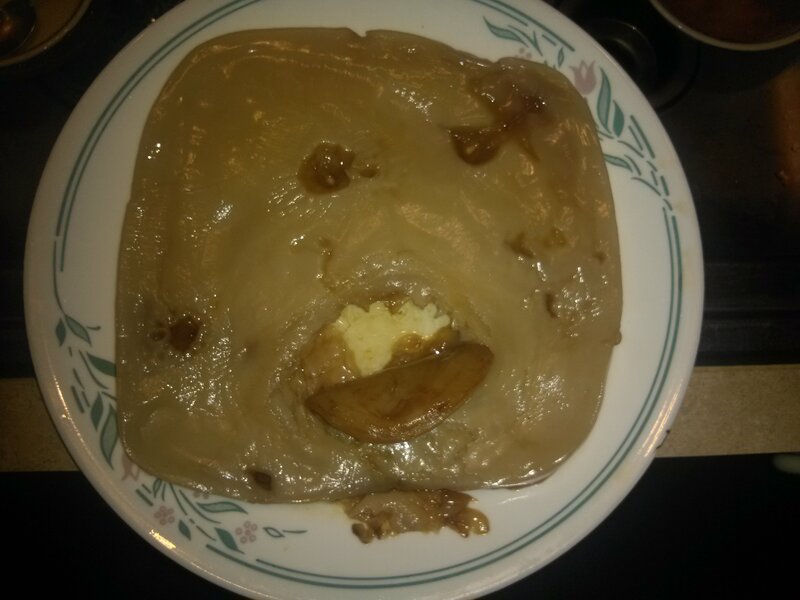 Not a very happy scoby, is it? They never look too pretty…but are rarely this expressive! This image does clearly show three or four areas of inhibited growth, a good reason to peel away the affected layers. You should occasionally give your scoby a once-over; a quick physical exam. It should smell like kombucha and not have holes or discolorations other than the light to dark seen here. The bottom left shows two areas that are too dark-some other microoganism is trying to take root there! The scoby appears to have successfully prevented its further growth but peeling off the layer keeps things on the safe and less-unattractive side. I continue to share scobys with local contacts, but run out of people and always have more scoby than I can give away. Maybe these could be made into some type of food! I have seen some recipes for how to eat them but have yet to try it. My kids are daring me…I will keep you posted! This entry was posted in Uncategorized and tagged autonomic, bacteria, fermented, fermented foods, gut bacteria, gut health, holobiont, hologenome, inflammation, irritable bowel syndrome, kombucha, lactobacillus, microbiome, microbiota, probiotics, symbiont, symbiosis, symbiote, symbiotic, vegan, yoga, yogurt on July 6, 2014 by Dr. Richard Matthews.